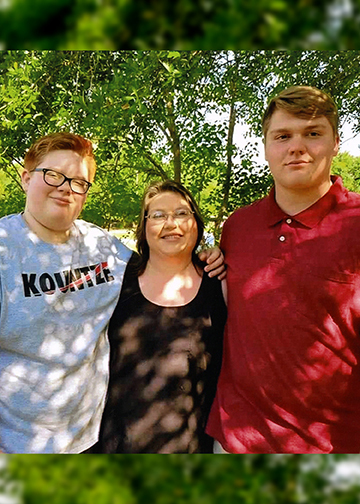 Tonya Lanette Breaux, 48, of Kountze, died Wednesday, October 10, 2018. She was born on November 3, 1969, in Kountze, to Beverly Williams and Arthur Sunday. Survivors include her sons, Dalton Breaux and Dakota Breaux; and mom, Beverly Jones, all of Kountze; siblings, Wesley Sunday and his wife, Brandie, of Silsbee; Michael Jones and his wife, Amanda, of Orange; Richard Sunday and his wife, Amanda, of Mauriceville; Suzette Talley and her husband, David, of Silsbee; Sam Reynolds and his wife, Michelle, of Colorado; and Theresa Reynolds of Illinois; stepfather, Mike Jones and his wife, Tammy; stepmother, Darlene Sunday; and numerous nieces and nephews. Tonya is preceded in death by her father; brother, Scott Sunday; and her grandparents. A gathering of Tonya’s family and friends will begin at 10:00 a.m., with her funeral service at 12:00 p.m., Monday, October 15, 2018, at Broussard’s, 530 West Monroe, Kountze. Her interment will follow at Holland Cemetery, Kountze. Our thoughts and prayers are with ya'll. I was very surprised and saddened to see that Tonya had passed. I had worked with her at Shepherd's quite a while back. Please know that I'll be praying for her family and children during this very difficult time. So sorry to hear about Tonya. She was always wearing a smile, . We are keeping the family and loved ones in our thoughts and prayers. So sadden by the loss of Tonya. She deserved so much better than this. My thoughts and prayers are with her family and friends. Godspeed Tonya. So sadden to hear of Tonya’s tragic accident & death,, our Lord had a. plan more greater than what she had on Earth so he flew her Angelic body straight to Heaven to be with her Daddy & Brother who is keeping watch over all their family members. I loved Tonya who was always nice & talked to me, seen her a lot at Mama Jacks restaurant & she never failed to talk to me, James loved her as well. Will be keeping all of the family in our prayers especially her Mother & Sons. I have known this sweet, wonderful woman for over 10 years, our sons grew up as close friends. She was always kind and was a blessing to everyone who met or knew her. She will truly be missed.